Start-ups script the saga of success for a thriving economy. In today’s world, they are the new avenues for creating a great deal of wealth and simultaneously generating a sizeable employment in the quickest possible time. While some start-ups work on the new service delivery models directly catering to the users at large, many of them work in niche technology areas for very specific end use. 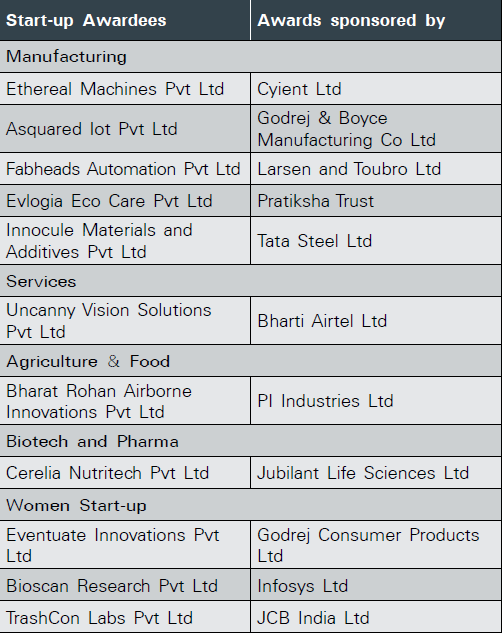 While enterprises such as Ola Cabs, Swiggy, Zomato, Oyo Rooms, et al can be classified under the first category, start-ups working on new medical devices, algorithms for improving diesel engine efficiency, design and fabrication of small satellites, etc, come under the latter category. An individual’s greatest satisfaction comes when his or her ideas gain wider acceptance and shape into fruition, simultaneously generating revenues and jobs while promising a highly motivational career path for the youth. Thus, in the recent past, start-ups have emerged a top career option for many graduates from the leading schools of business and technology. The success of start-ups depends on an innovation ecosystem comprising incubators with the availability of appropriate technology and hardware systems, effective mentoring, access to easy finance, assistance in the marketing of products and services etc. Such ecosystems have played crucial roles for creating start-up havens in Cambridge (UK), Silicon Valley, and Tel Aviv, and also in our own Bengaluru. In order to maximize the demographic dividend in India, we need myriad start-ups spawning from multitudes of ideas for every conceivable service, application or social benefit. Realizing the multiplier effect of start-ups for the national economy and also their direct impact on fostering creativity and innovation, the Government of India has launched an ambitious program following the Prime Minister’s clarion call of ‘Start-up India, Stand up India.’ Towards building a strong ecosystem for nurturing innovation and start- ups in the country, the ‘Start-up India Action Plan’ was launched on 16 January 2016 in New Delhi. While start-ups have been quite successful in e-commerce and other IT-based applications of the services sector till date, they are yet to take off in a big way in manufacturing. We need to accelerate spreading the start-up movement beyond IT and ITES to a wider arena, encompassing agriculture, manufacturing, social sector, education, et al. There have been exemplary successes by a few start-ups in India. This is measured by how many of them graduate to the Unicorn Club. 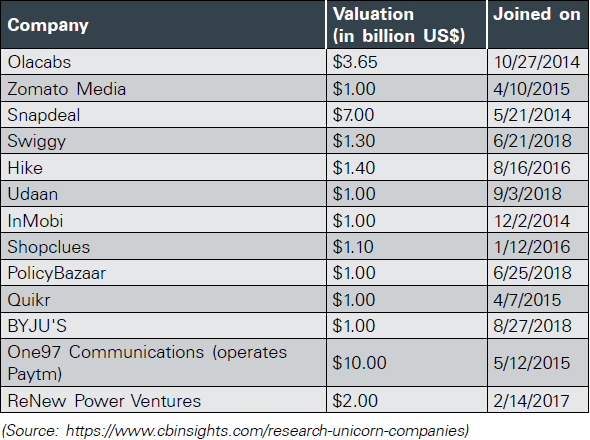 A unicorn is defined as a private company with a valuation of over $1.0 billion. As of August 2018, there were more than 260 unicorns around the world and India has 13 of them. The alarming number of failures of start-ups calls for newer strategies for their improved success. Mentoring by external experts or providing easy finance ultimately may not prove beneficial in the long run. It would appear that a majority of failures occur due to the companies’ misunderstanding of market needs. In order to address the need for market reach and access for startups, CII has come up with a novel approach to provide the all-essential ‘Corporate Connect’ for start-ups. The approach is based on the paradigm that a large corporate house can adopt one or a few start-ups working in the areas or allied areas of its business. These start-ups are then nurtured with specific knowledge inputs and also supported with adequate finances by the ‘parent’ large corporates. In the process, the start-ups develop products or services catering to the needs of the large corporates thus becoming an integral part of their supply chain, or devise newer technologies for better efficiency or productivity. In due course of time, the corporates may also plan to invest substantially in the start-ups, and help them stand on their own feet. Hence, CII’s Corporate-Start-ups Partnership should be seen from a business rather than a philanthropic point of view. Such a long-term dedicated ‘Corporate Connect’ with the start-up will go a long way in helping the ideas germinate into appropriate end-uses and ensuring the success of the startupreneurs. It is indeed heartening to note that 11 CII members companies namely, Godrej Industries, Godrej Consumer Products, L&T, JCB, PI Industries, Infosys, Tata Steel, Bharti Enterprises, Jubilant, Cyient, and Mr Kris Gopalakrishnan, Past President, CII, Chairman, CII Startup Council, and Co-Founder, Infosys Ltd, have expressed their commitment to strengthen the start-up ecosystem in the country by offering token financial support and mentorship to the winners of the CII Startupreneur Awards in different sectors. 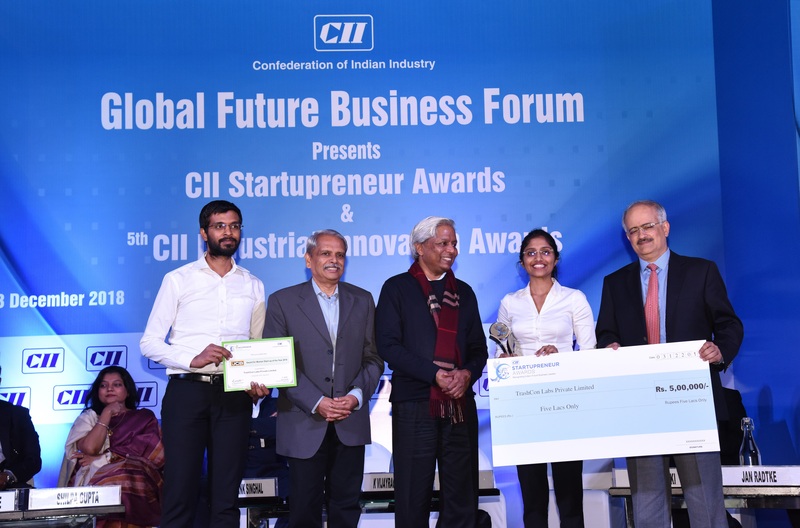 The winning start-ups were chosen by the corporates from the potential business partnership point of view, and the awards were conferred in the name of the corporates. 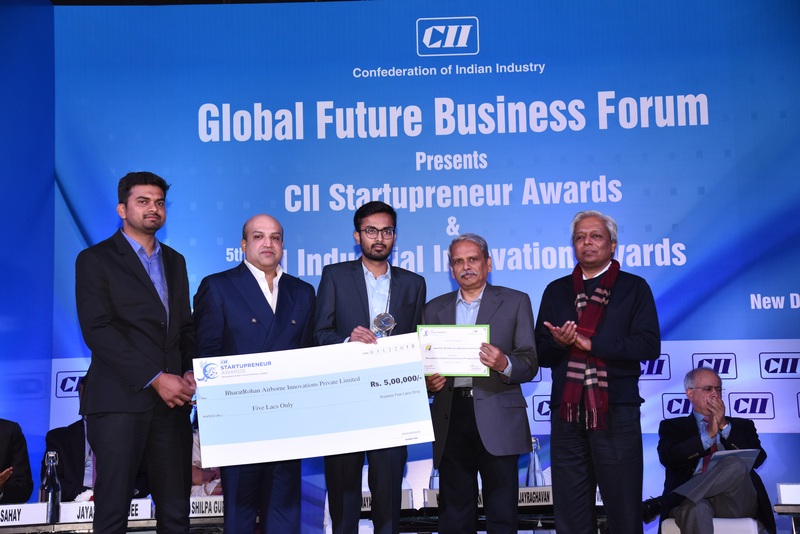 The CII Startupreneur Awards, launched this year, were presented to select smart start-ups on the occasion of the Global Future Business Forum on 3 December in New Delhi.